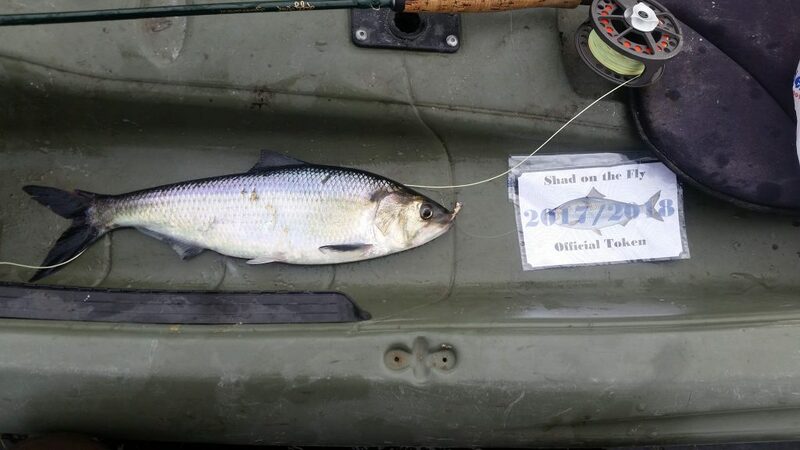 We have a winner for this year’s First Shad of the Season Contest! Congratulations to Cas Summers! Not only did he land a December shad, he did it on the 16th of the month at that! Way to go Cas! I will contact you directly via PM to coordinate how best to get that $50 gift card to Orlando Outfitters over to you. It’s that time of year again! 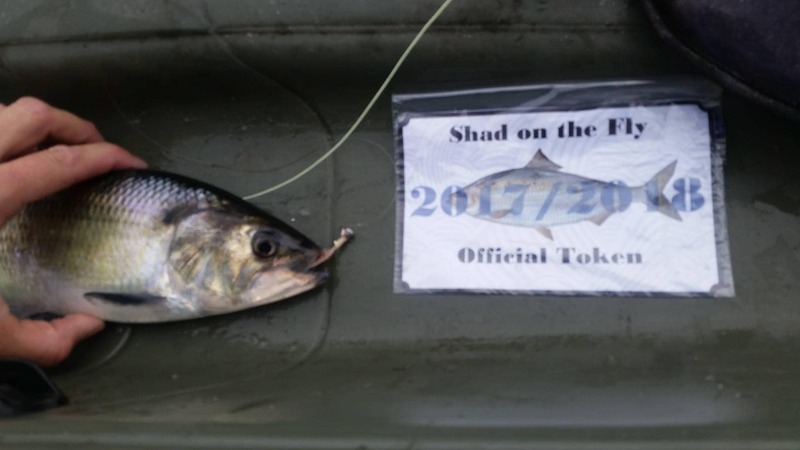 Let’s get the 2018/ 2019 shad fishing season started, with this season’s First Shad of the Season Contest! The winner will receive a $50 Gift Card to Orlando Outfitters! 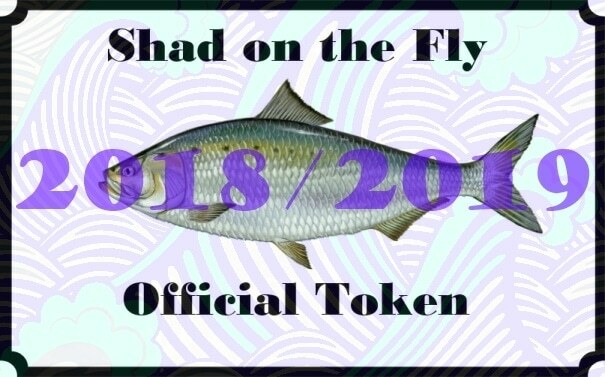 Download the Shad on the Fly 2018/ 2019 Official Token image above and print it out. You may trim it down to size. The Shad on the Fly- First Shad of the Season Contest is in no way sponsored, endorsed, administered by, or associated with Facebook. Participants understand that they are providing their information to the owner of the Shad on the Fly Facebook Group, and not to Facebook. 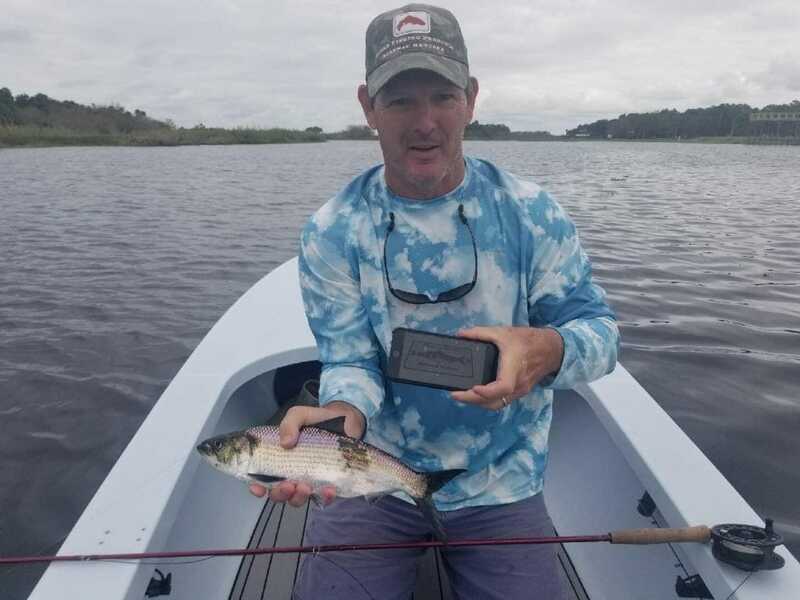 We have a Winner of the First Shad of the Season Contest! Congratulations to Suede Langston for catching and posting the first picture of a shad caught on the fly of the 2017/2018 season! This beauty was caught near the Econ on December 28, 2017. As you can see, the photo clearly shows the fly, fly reel, and official contest token in the picture. 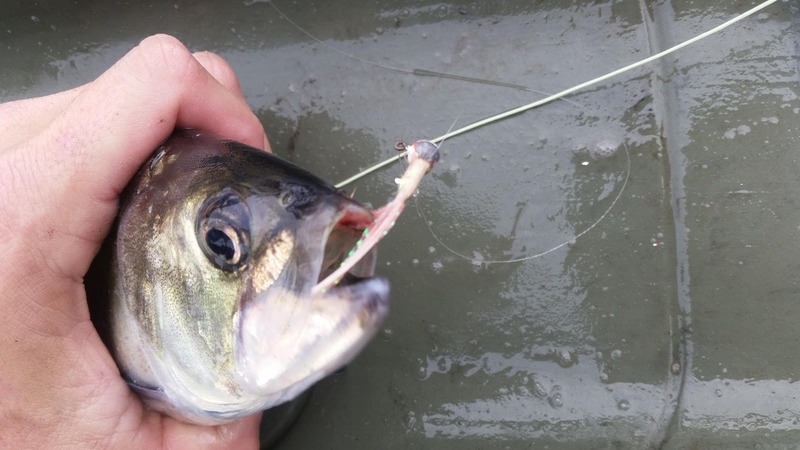 Not only is Suede the clear winner, he did so by landing a coveted December shad! Great Job Suede! The prize below was mailed to you today. I hope the flies help you catch dozens more this shad run! One Grand Prize for the “Best Angler Photo” to be determined by the judge(s). To get the 2017/ 2018 shad fishing season started, I have decided to run a First Shad of the Season Contest! 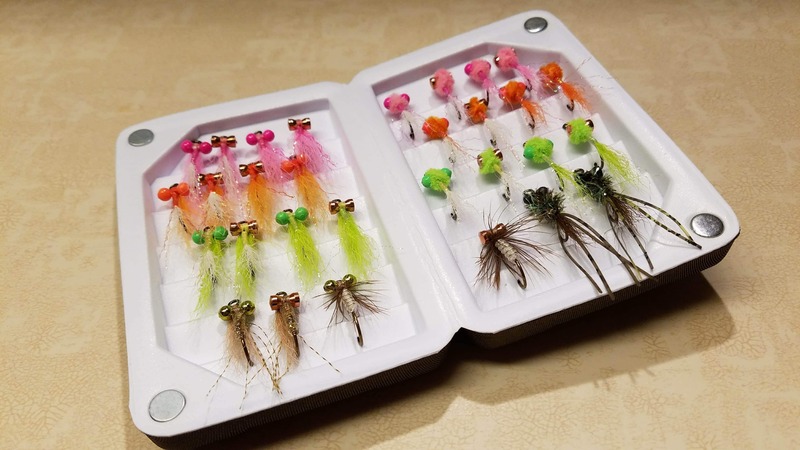 The winner will receive a Flambeau floating foam fly box with thirty shad flies inside tied by yours truly. Okay, this is easy right? Now we just need the water to drop another 3 feet and we should be in business! All kidding aside, I am starting to really get amped up about this shad season, and I hope a little friendly competition will help us all get out there, start hunting for fish, and come together in fellowship to share our experiences. 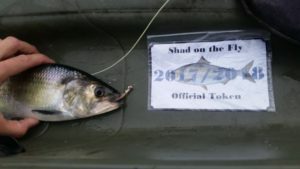 The Shad on the Fly Facebook Group is a great place to share reports, pictures, videos, and organize some outings together. See you on the water! First Shad of the Season Prize!